LG’s next flagship smartphone is coming later this month but until the official reveal, it’s open season for rumors and leaks. The latest to come down the pipeline includes both photos and specifications of the G3 – what more could one ask for? 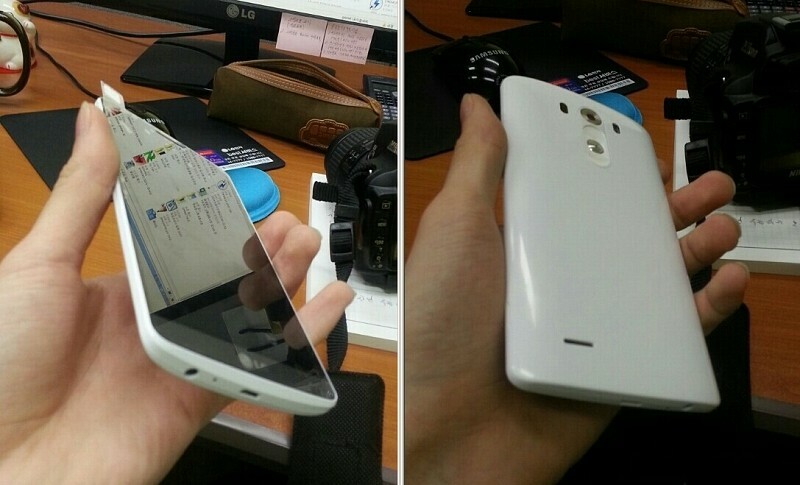 The images in question come from Seeko and allegedly show both the front and back of the LG G3. The blank back shell could indicate we are looking at a prototype device but it’s worth pointing out that it otherwise matches up with another rear shot from GSM Arena perfectly. As for specifications, a source claiming knowledge of the matter told the publication the phone will carry a 5.5-inch QHD display operating at 2,560 x 1,440 pixels. That’s good for a whopping 534 pixels per inch – certainly one of the highest PPI ratings for a smartphone to date. The screen size means it’ll have a larger footprint than the G2 but will be a bit thinner, too. The phone will be available in two different storage capacities, the source said. The 16GB model will include 2GB of system RAM while the 32GB unit will come standard with 3GB of memory. Both models will offer additional storage via microSD card slot. The rear-facing camera is said to snap images at 13-megapixels with OIS+ image stabilization technology borrowed from the G2. There’s also a rear-mounted speaker and a 3,000mAh battery inside.